The largest anti-fraud conference in the world encourages attendees to keep fighting the good fight. Let's face it. Examining for fraud can be hard. You discover a problem, analyze data, study public documents, trace transactions, interview subjects, collect evidence, write reports and, possibly, testify in court. It's often a long slog with disappointing results. You still love the process, but sometimes you just need some encouragement. 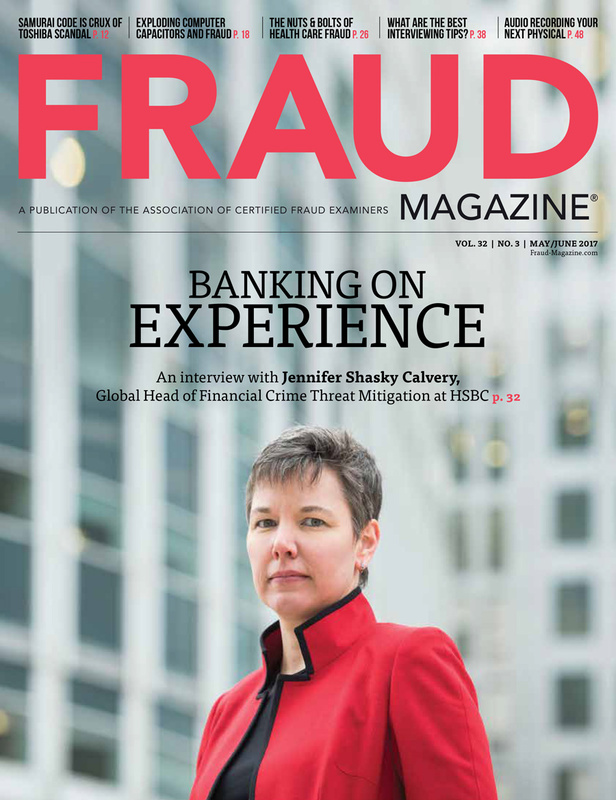 "The ACFE does a totally top-notch experience for its members," Patty Huling, CFE, CLEA, CPPB, told Fraud Magazine Assistant Editor Emily Primeaux, CFE, during a "Heard in the Halls" interview at the 27th Annual ACFE Global Fraud Conference. "This is my third year in a row," said Huling, the law enforcement auditor at the Maricopa County Sheriff's Office and president of the Arizona ACFE Chapter. "You never fail to wow us with the outstanding things you do to make us feel special — I find that very refreshing for us who fight the good fight. It's a thankless job, but you make us feel like we're valued, and that's important because how would we do it every day otherwise?" "Most of you know that I've retired from public speaking, but I'm right here with you in spirit," said Dr. Joseph T. Wells. CFE, CPA, founder and Chairman of the ACFE, during a video at the opening general session. Beginning two years ago, Dr. Wells no longer attends the ACFE Annual Global Fraud Conferences. "Now, let me ask you. What do you do for a living? What line of work are you in? Who do you work for? Most often, you'll answer without hesitation and usually with a response that's been rehearsed in your mind a hundred times. "But look around you," said Dr. Wells. "Some of you have years of experience, and some of you have weeks. Some of you work with numbers, and some of you work with people. Many of you are behind the scenes and others are on the front lines. 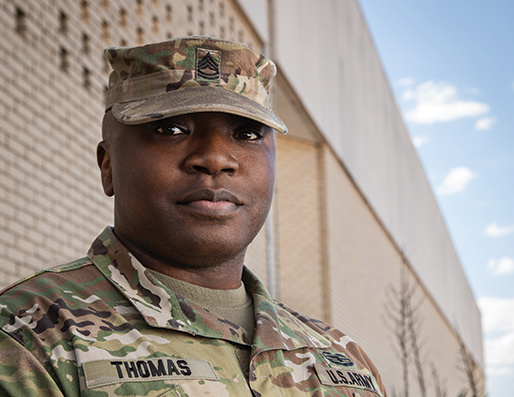 The over 75,000 people that make up this organization are as diverse as they are dedicated," he said. "So the next time someone asks you what you do, you can say what you've always said. Or you can let them in on what you really do. You serve. You protect. You prevent. You fight the worldwide fight against fraud. Welcome to the 27th Annual ACFE Global Fraud Conference. Where fraud fighters unite." ACFE President and CEO James D. Ratley, CFE, spoke during the opening general session about the history of the anti-fraud profession and necessary CFE leadership tenets. "Back in 1988 [when the ACFE was formed], there were not yet any standards for fraud examination," Ratley said. He pointed out that many of the fundamentals CFEs strongly adhere to today were learned by trial and error. "We were fighting fraud locally," he said. 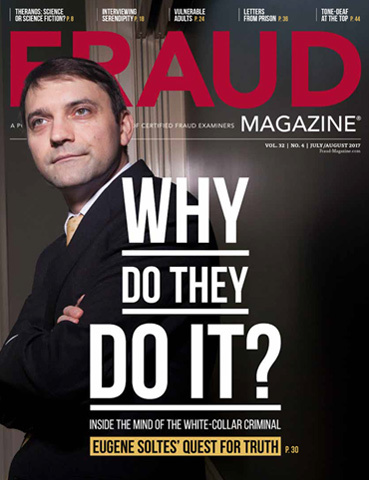 "Addressing fraud outside of the U.S. at that time was unheard of. We simply didn't have the visibility that we do now. Finding the law enforcement agency that had jurisdiction was seldom ever a problem since the fraudulent activity was confined to one jurisdiction." The fraud examiner also looks different today, he said. 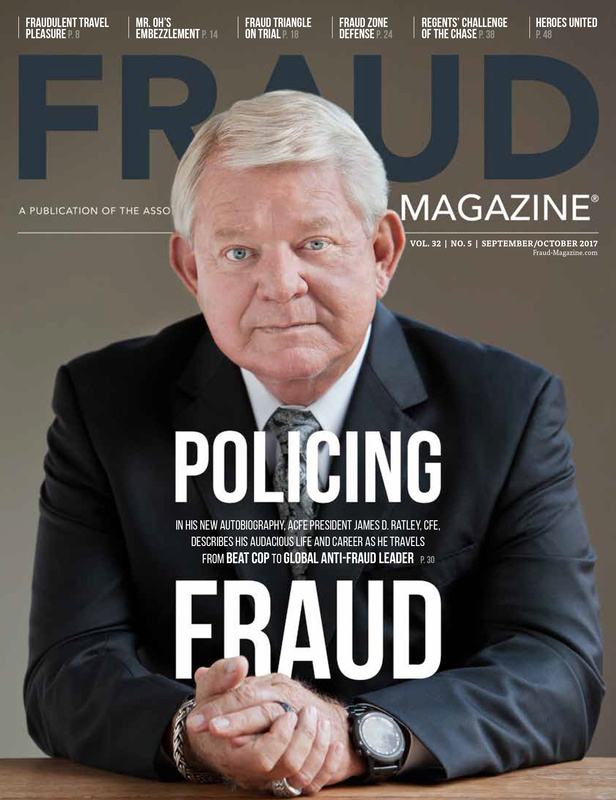 "When the ACFE started, we were called the National Association of Certified Fraud Examiners because the majority of our members were in the U.S.," he said. "Today that name couldn't even begin to accurately describe the vast array of countries and cultures that make up our global organization. Of our 75,000 members, more than 30 percent reside outside of the United States. We are also proud to have members in more than 160 countries around the world. "In the early days, many of the people entering the fraud examination field looked a lot like me — often a middle-aged investigator transitioning into a role that had never been listed in the classifieds in the newspaper," Ratley said. "Now, if you take a look around at just the people at your table, you will see auditors, compliance officers, risk managers, fraud analysts, executives — the list goes on and on. Some of these positions didn't even exist when the ACFE started, and others had no interest in or responsibility for fraud. 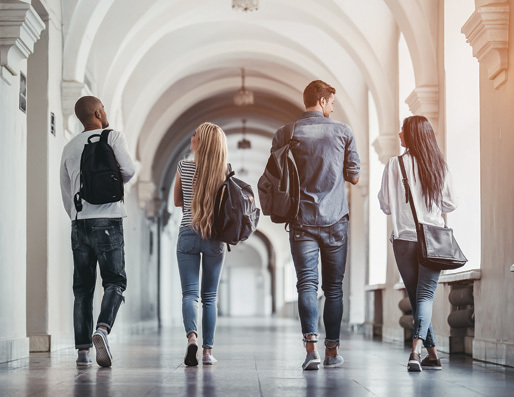 A college graduate didn't know what a fraud examiner was, much less that fraud was something that could be prevented and detected in a formal way." He said that change will continue at a more rapid pace over the next few years. 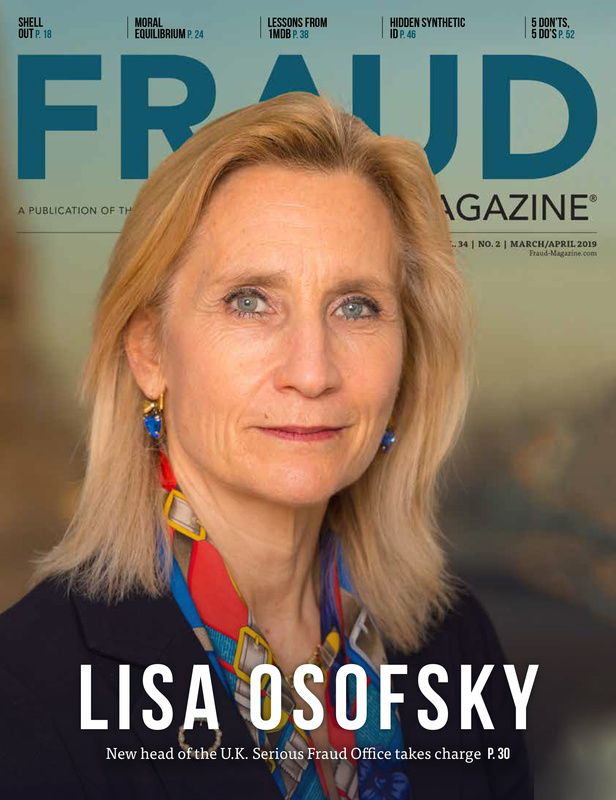 "The Certified Fraud Examiners of the future will have a much more daunting task than those of us who helped build the profession to its present state. In 2016 alone, more than 3.6 million baby boomers are expected to retire. That … will leave a huge hole in organizational knowledge, experience and leadership." Ratley said that the millennials — those born between 1982 and 1993 — are waiting to step into the vacancies created by the retiring baby boomers. "In today's workforce the millennials occupy 28 percent of the management roles in our corporations. By 2025, they will comprise over 75 percent of the total workforce." He said successful CFEs will work diligently to supplement their education. "Remember, you can't win today's ballgames with yesterday's home runs. There will be a wealth of information made available to you over the next few days. I would encourage you to absorb as much as possible," Ratley said. "Help us continue to move the profession in a proactive path, building on, rather than just reacting to, the knowledge we've acquired over the last few decades," he said. "One of the hallmarks of the ACFE is strong leadership. But we've also committed as an association that the strong leadership must be continuous," he said. "Behind Joe and me are the next generation of [ACFE] leaders who are being groomed to take charge. And it will be their jobs to select and train the generation that follows. So while the faces must change over time, we will always be true to the ideals we began with — to be the finest professional organization." Three excellent speakers led Pre-Conference sessions. John Gill, J.D., CFE, vice president – education at the ACFE led "Mindset of the Fraudster: What We've Learned in 25 Years of Interviewing." Jonathan Davison, managing director of Forensic Interview Solutions™, spoke on "A Different Approach to Investigative Interviewing." Gerry Zack, CFE, CPA, CIA, CCEP, managing director – global forensics, BDO USA, LLP, led the session, "Using Ratio Analysis in Your Fraud Examination." During the Main Conference, attendees learned practical concepts at more than 70 educational sessions in 13 parallel tracks. Tracks ranged from "Fraud Investigation and Remediation: Things to Do Monday Morning," and "Is Frauditing Just a Cute Phrase?" to "Cyberfraud and Cybersecurity: Not if, but When" and "Awareness, Prevention and Deterrence: Is Any of This Working?" Four excellent speakers taught the three Post-Conference sessions. Bethmara Kessler, CFE, CISA, chief audit executive, Campbell Soup Company, and Jonathan E. Turner, CFE, CII, senior director, Corporate Compliance, Wright Medical Technology, team-taught the "Auditing/Investigating Fraud Seminar." Allen F. Brown, CFE, CPA, owner, AFB Consulting, presented "Controlling the Risk of Asset Misappropriation." Cary Moore, CISSP, associate partner, IBM, presented "Protecting Against Data Breaches and Cyberfraud." Cressey Award recipient Judge Jed S. Rakoff said the real winners of the honor should be the members of the ACFE because they root out fraud to an unprecedented degree. "I wish I could say the same for the federal government," he said during his Monday Opening Session address. "But I am regrettably, convincingly convinced that the federal government and the federal system of justice has somewhat retrogressed over the past couple of decades … in the prosecution of fraud … when it's perpetrated by people at the highest levels of the financial establishment." Dr. Donald Cressey Award: Judge Jed S. Rakoff, U.S. District Judge for the Southern District of New York. The Cressey Award, the ACFE's highest honor, is presented annually for a lifetime of achievement in the detection and deterrence of fraud. Cressey (1919-1987) was one of the foremost fraud experts and an ACFE founding father. Cliff Robertson Sentinel Award: Anthony Menendez, CFE, for blowing the whistle on Halliburton. "For Choosing Truth Over Self," the inscription on the award. The ACFE presented the first award to actor Cliff Robertson for standing up to a Hollywood fraud scheme. Guardian Award: Anthony Barboza, Pulitzer Prize-winning journalist for The New York times. Presented to a journalist whose determination, perseverance and commitment to the truth has contributed significantly to the fight against fraud. James R. Baker Speaker of the Year Award: Allen F. Brown, CFE, CPA, owner, AFB Consulting. Presented annually to honor an individual who had demonstrated the true spirit of leadership in communication, presentation and quality instruction. Certified Fraud Examiner of the Year Award: Muna Buchahin Abulhosn, Ph.D., CFE, CGAP, CFI, director general of forensic audit at SAO Mexico. Chapter of the Year Award: ACFE Heartland Chapter, accepted by Kimberly Anne Butler, CFE, chapter president. Chapter Website of the Year Award: ACFE Spain Chapter, accepted by Mariano Casado, CFE. 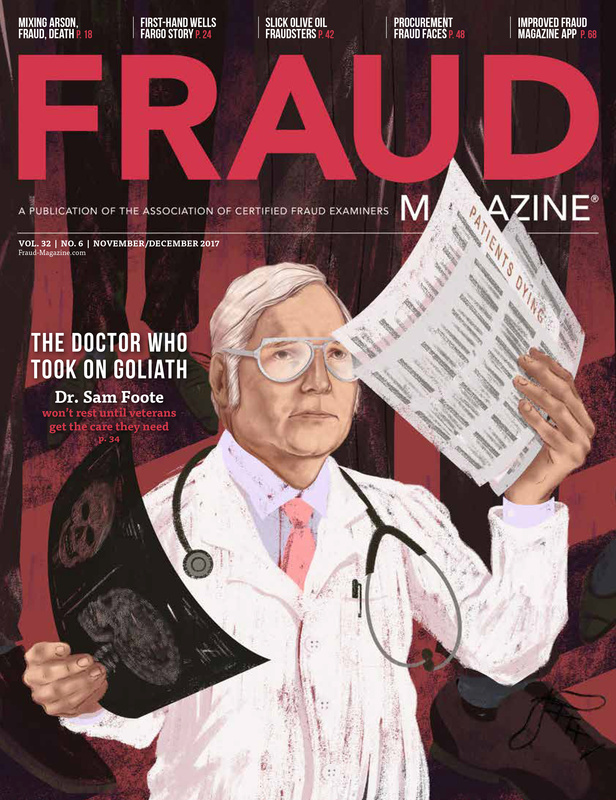 Hubbard Award: Frank S. Perri, J.D., CFE, CPA; and Edyta Mieczkowska, CFE, CAMS, authors of "I didn't intend to deceive anyone: Fraud rationalizations and the guilty mind" in the March/April 2015 issue of Fraud Magazine. Presented annually for the outstanding feature article published in the magazine. Outstanding Achievement in Outreach/Community Service award: Yarisa Walsh, CFE, investigative analyst at TD Bank Group. Educator of the Year Award: Thomas A. Buckhoff, Ph.D., CFE, CFF, associate professor in the Georgia Southern University School of Accountancy. 2015 Walker Award: Robert Sinclair, CFE. Presented annually to the person receiving the highest annual score on the CFE Exam. Chris Dransfeldt, CFE, won the ACFE Foundation poker tournament for free registration or equivalent monetary value to the 28th Annual ACFE Global Fraud Conference, June 18-23, 2017, at the Music City Center in Nashville, Tennessee. Stacy Saxon, Ph.D., CFE, won the comprehensive résumé and cover letter review from Donn LeVie Jr.
Karen Setzer won a $250 Visa gift card in the ACFE Fraud Museum Game. Rakoff, U.S. District Judge for the Southern District of New York, said that historians of the Great Recession will say that fraud played a major role in creating a mortgage bubble that led to the crash, but that few of the people most responsible for that fraud were ever brought to justice. "This has led to me becoming a little more cynical about our legal system as a whole," he said. In the late 1960s, the Securities and Exchange Commission expanded securities fraud prosecutions to reach high-level executives, big-firm accountants and attorneys who had perpetrated huge frauds, Rakoff said. "The impetus created by that kind of approach carried over for several decades giving rise … to the successful conviction of Michael Milkin [fraudulent junk-bond bubble], prosecution of Charles Keating and 800 of his confederates [savings and loan bubble] and the prosecution of Bernie Ebbers [WorldCom] and Jeffrey Skilling [Enron]," he said. But Rakoff said these frauds were nothing compared to those caused by mortgage-backed securities in the 2007-2008 financial meltdown. Fraud permeated every part of the system, he said — banks, mortgage companies, rating agencies. The mortgage bubble "was rooted in fraud at every level," he said. "In the end the bubble burst. But the disaster was of such magnitude, that the one clear response of the government was to bailout the very banks that had created the problem for fear that otherwise the economy would collapse." The federal government, he said, locks up those who have committed crimes involving relatively modest amounts of money and lets fraudsters who have stolen trillions go free. "Mass incarceration, it seems, is only for the masses," he said. "One bright spot in this otherwise dismal conclusion is that at least since Sarbanes-Oxley private enforcement has increased; businesspeople don't want another financial crisis to occur on their watch," Rakoff said. "They're increasingly using people like you to detect fraud as well as preventing it from happening. You should be very proud of your efforts." Your key interview subject walks in, removes his coat and takes his seat. You offer him a cup of coffee and begin building some rapport. You immediately begin watching his hands, face and posture. You scrutinize his sentences and ask yourself, "Is this person lying to me? How can I tell?" Your observations and analysis might make or break your case. "I believe there's no such thing as a bad interviewee, but there is such a thing as a bad interviewer," said body-language expert Steve van Aperen during the Tuesday morning session. "If your questions are not clear and concise during the interview, it will allow a deceptive person to lie." Also, he said, it's quite easy to misread visual cues. 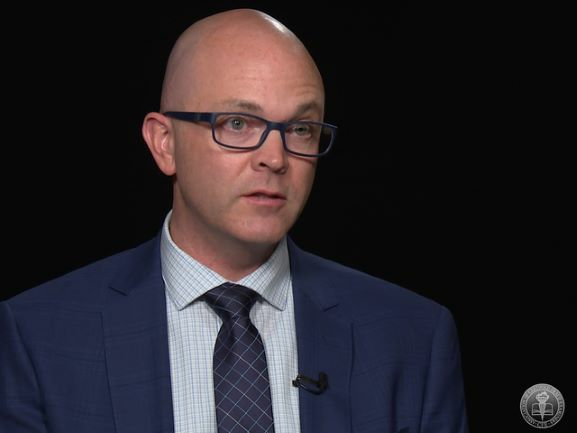 Though dishonesty surrounds us, van Aperen says anybody can think of a lie but it's difficult to communicate that lie with believability and credibility. "Interviewees will always express the same verbal and nonverbal cues — I call them ‘leakage' or ‘seepage' — but the problem is we don't know what to look for," he said. "We listen to the content and structure … but there are other parameters we should look for. … We need to look at contradictions between what they're saying and what in fact their body language is saying." Is the person denying or making objections to a question like, "Did you steal that money?" "No I didn't" (denial) as opposed to "Why would I do that?" or "I don't need to steal money" or "I'm not that kind of person" or "It's wrong to steal." The last statement is a view but not a denial. Is the person omissive, defensive, dismissive or evasive (behaviors that are often associated with avoidance)? Is there conflict or contradiction between what a person is saying and what their body language is doing (such as nodding his or her head in the affirmative while denying something)? "Remember this," van Aperen said. "For every one lie a person tells you they have to invent another three or four to protect themselves from the first one. Secondly, they have to have a good memory because they have to think, ‘What have I said previously that's likely to convict me now?' " With the right tools we can spot hard-working liars before they complicate and obfuscate our cases. "What would make smart people give him their millions?" actor Richard Dreyfuss asked himself when he was preparing to portray Bernie Madoff in the February ABC miniseries, "Madoff." "He had to be the most comfortable, menschy, honest, sweetest guy in the world with a very strong opinion about who deserved to be in his exclusive investment company," Dreyfuss told attendees at the Monday working lunch. "He made you want to beg him to be in it. But personally you had to love him." In preparing for the Madoff role, Dreyfuss said he interviewed many victims and they were all still incredibly damaged. "Some had been in their early 80s — wealthy beyond their wildest dreams — who were now maids in the homes of their former friends. … No one deserved what they got. … You don't just take [the money] in front of them. You take their children's children's children's hopes." Dreyfuss said that he didn't think Madoff grew up wanting to be a criminal. "He used his own funds to cook the books, and he realized that he had made that little step over the line, and he never looked back." He said Harry Markopolos — a Certified Fraud Examiner who for years told the Securities and Exchange Commission that Madoff's operation was fraudulent to no avail — was the real hero of this story. "People who steal literally billions don't get punished. 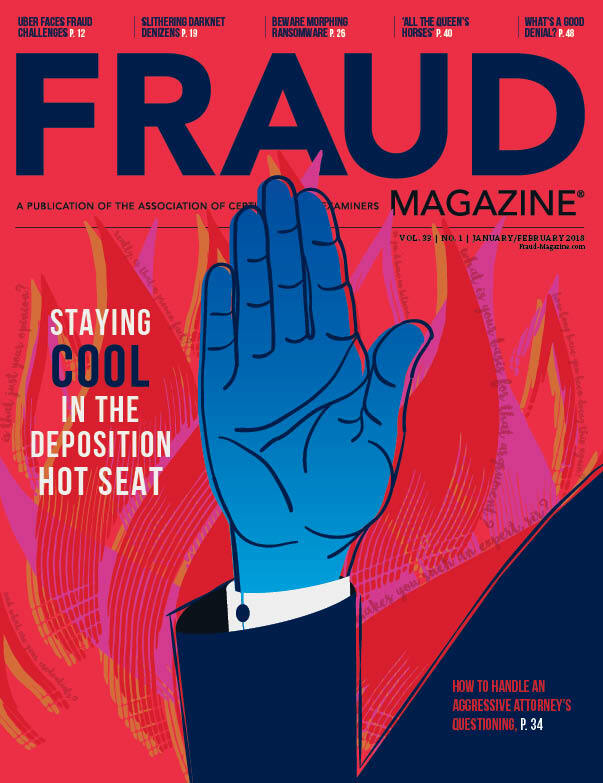 People who steal a buck and a half go to prison," said Academy Award-winning actor Richard Dreyfuss in a short interview with Fraud Magazine after his conference keynote address. Dreyfuss bemoaned the inequality of the U.S. justice system that won't criminally prosecute large corporations for fraud and worse. He referred to the December 1984 disaster in Bhopal, India, in which at least 3,787 — and possibly at least twice that many — died when gas leaked from a Union Carbide India Limited pesticide plant. No conclusive cause for the disaster was ever found, though some lower-level employees were convicted. "They spent the next 20 years distancing themselves from the incident, changing the name of the company, changing the interior structure. But nobody in the company — the high executive officers — ever went on vacation outside of the United States because they knew Interpol would pick them up," Dreyfuss said. He said that he read several fraud-related books in preparation for the title role in the ABC miniseries, "Madoff," including the 2016 book, "JPMadoff: The Unholy Alliance Between America's Biggest Bank and America's Biggest Crook," by Helen Davis Chaitman and Lance Gotthoffer. "[Morgan Stanley] had been given … an extra two years [by the U.S. federal government] to figure out how to deal with a piece of legislation that had been passed in 1970 [the Bank Secrecy Act]," Dreyfuss said. From the foreword of "JPMorgan": "Although it [the federal government] announced criminal charges against the bank [JPMorgan Chase] for two felony violations of the Bank Secrecy Act, it simultaneously entered into a deferred-prosecution agreement with the bank, suspending an indictment for two years provided that the bank complies with the law in the future. As if JPMorgan Chase, with its armies of high-priced lawyers, didn't know how to comply with the 1970 Bank Secrecy Act in forty-four years — it needs another two years to figure out how to comply with the law!" "So, the bias for the companies, the bias for the executives allows everybody to say to themselves … ‘Let's do this anyway. Because we're smarter than they [the federal government] are,' " Dreyfuss said. " ‘We've got 24,000 lawyers and they don't.' Everyone … knows they [federal investigators] don't have enough money, they don't have enough people. And we should give them the money, we should give them the mobility to crash through the doors of legislation by corrupt politicians. And get these people punished. It's not hyperbole. It's literally the truth." Dreyfuss believes that criminal justice equality and U.S. civics education are closely related. In 2006, Dreyfuss created The Dreyfuss Civics Initiative — a nonprofit organization that advocates for the teaching of civics in the U.S.
"I knew around the turn of the century that my kids were not going to have the same country as I had," Dreyfuss said. "And there was a common denominator to everything that had been going on. … It came from a generation that had not really studied why this country exists and what it meant in history," he said. "This country was formed with a kind of a perfect storm. We had the Atlantic Ocean, we had taken out the taxi shuttle service of the British navy so that Europe didn't have a chance to get to us," he said. The U.S. Bill of Rights, he said, told the world, " ‘This is who we wish to be.' And the world could hold us to it. ... We started the largest mass movement of human beings in the world, which has never stopped. People … say, ‘I can't wait to get to America.' And once we stopped teaching civics, our kids stopped knowing what that meant." "I want you to remember that you work for me," he challenged attendees. "Me as in ‘We the People.' You are our agents who represent our only means of finding villains and stopping them," Dreyfuss said. Deux ex machina — "God from the machine" — is a plot device that ancient Greek play authors used to save their characters from tight spots and hopefully give them happy endings. Anthony Menendez, CFE, told the Wednesday closing session attendees that was how Halliburton solved a fraudulent accounting problem he'd reported — just drop a benign explanation from the sky, end the production and close the curtain. Finis. But Menendez raised the curtain, stepped onto the stage and said, "Wait a second — this play isn't even in the third act yet." When he was the director of technical accounting research with Halliburton in 2005, the company asked him to approve a bill-and-hold sale — "a contract to allow and recognize revenue on equipment that they weren't actually selling but were ultimately going to use months later," said Menendez, the recipient of the 2016 Cliff Robertson Sentinel Award. Menendez said the company pushed back and told him his predecessor routinely approved these bill-and-hold sales. "But how was that possible?" Menendez asked. "I checked the accounting policy that it made it very clear that you weren't supposed to do that." SAB 101 from the Securities and Exchange Commission forbids it. He spent months of research, debate and investigation, and he said he couldn't find anything to support the recognition of revenue on equipment sitting in a Halliburton warehouse. Menendez sent a memo to his boss that showed his findings and expressed his concerns. He said his boss told him, " ‘We agree your conclusions are appropriate. We need to get this thing fixed posthaste and get back within the lines that are appropriate. We need to repair whatever damage is done.' … I thought he would fix the issue. But unfortunately they never did," Menendez said. Menendez filed a confidential complaint with the SEC in November 2005 because he believed that a company commits fraud when it knowingly violates accounting and SEC rules and misleads the investing public. And then on Feb. 4, 2006, he sent an email to alert the audit committee of Halliburton's board of directors about the accounting problem. He left Halliburton in 2006 and brought a whistleblower claim under the anti-retaliation provisions of the Sarbanes-Oxley Act. In September 2008, an administrative law judge determined that Halliburton hadn't retaliated against Menendez. Even though he'd never had any legal training, he then represented himself in appealing the case to the Administrative Review Board (ARB). In September 2011, the ARB overturned the original trial judge. Halliburton appealed to the Fifth Circuit Court of Appeals, but the panel ruled that the company had retaliated against Menendez for blowing the whistle. Menendez had only asked for $1,000, but the court awarded him $30,000. After almost nine years, Menendez finally got to the third act without the aid of a Halliburton Deux ex machina. He became that rare creature — The Man who Beat Halliburton. In the 1990s, David Barboza — then a sophomore at Boston University — wanted to emulate authors such as Robert Caro, J. Anthony Lucas and Neil Sheehan because he too desired to become a journalist and historian. "So I had this crazy idea … that I would call some of the great figures in history," Barboza told attendees at the Tuesday working lunch, to interview them for his student papers. So he audaciously called Dean Rusk, secretary of state for Presidents Kennedy and Johnson, who surprisingly took Barboza's call and talked with him about the Vietnam War. Barboza successfully interviewed other notable history figures. Flash forward to 2012, and Barboza — then The New York Times Shanghai bureau chief — was about to publish the first of a series of articles showing corruption in high levels of the Chinese government. "The New York Times felt that it was important to give the government an opportunity to respond," Barboza said. "To my great surprise … just like calling Dean Rusk … the family of the [Chinese] prime minister took my call." Audacity can pay off. The ACFE presented Barboza with its Guardian Award — presented annually to a journalist "whose determination, perseverance and commitment to the truth has contributed significantly to the fight against fraud." Since the beginning of Barboza's New York Times assignment in China, he'd heard how high-ranking Chinese government officials and their offspring — the "princelings" — had benefited financially from the country's economic transformation by receiving billions of dollars of "secret shares" in corporations. Barboza didn't think it was possible to discover if the top governmental families were surreptitiously benefiting from these financial arrangements. Companies in China can be listed in Hong Kong, Shanghai and Shenzhen, Barboza said. He began searching the Ping An prospectus in the Hong Kong listings (because they're in English) and found several Chinese companies he'd never heard of, which held billions of dollars in shares. He then turned to an agency he'd just discovered — the State Administration Ministry of Commerce. From there one lead pointed to many others — including listings of relatives on tombstones — and Barboza was able to definitely write that Wen Jibao's son, daughter, younger brother and brother-in-law had become extraordinarily wealthy during his leadership. According to Barboza's first article in the eventual series, the records indicated that the PM's relatives — including his wife — have controlled assets worth at least $2.7 billion. In 2013, Barboza was awarded the Pulitzer Prize for International Reporting for his Chinese government corruption reporting. And it all began with an audacious call to Dean Rusk. 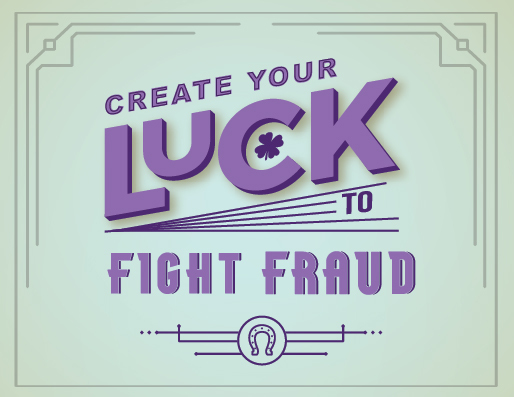 Though fighting fraud can be a grueling quest, it can be satisfying. Especially, when thousands of members of the same "tribe" give you the encouragement you need to press on. Mark your calendar for the 2017 ACFE Global Fraud Conference! The 28th Annual ACFE Global Fraud Conference will be held June 18-23, 2017, at the Music City Center in Nashville, Tennessee. 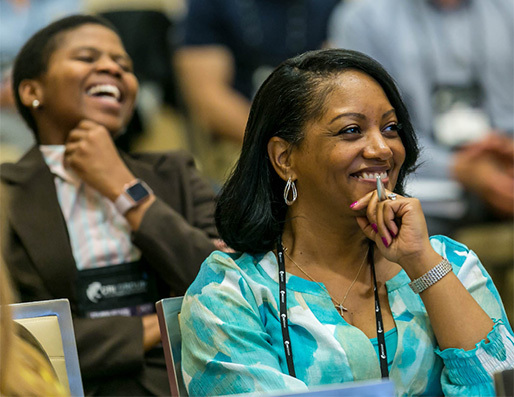 You've always wanted to attend an ACFE Global Fraud Conference and now's your chance to finally do it. Visit FraudConference.com to register. See you in Nashville in 2017! For more extensive keynoter reports plus additional coverage, visit FraudConferenceNews.com. Also see the sidebar: All the advantages of life didn't stop Roomy Khan from crossing the line. In 1997, Khan — who held graduate degrees in engineering and physics — was working in marketing at Intel in Silicon Valley. However, she told attendees at the Wednesday closing session*, she really wanted to become a high-tech stocks analyst on Wall Street, and she saw Rajaratnam — her mentor — as her ticket. All the advantages of a rich family life didn’t prevent her from succumbing to an ingrown fraud culture in hedge-fund trading where Rajaratnam expected her to pursue “The Edge” — his euphemism for insider trading. Khan said fellow traders rationalized their actions and complained about the unrealistic trading rules. “But disagreeing with the law doesn’t give us the right to break it,” she said.